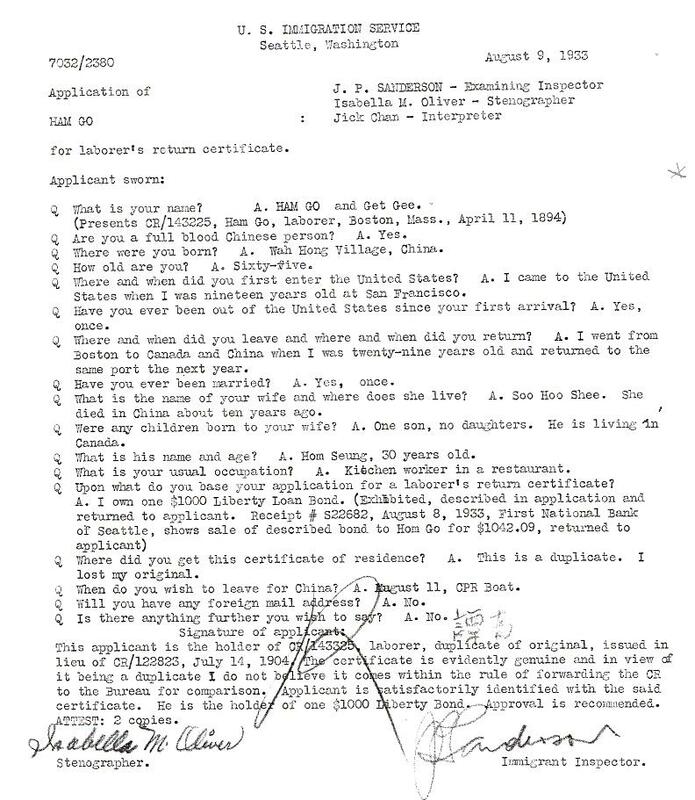 Ham Go, Application for Laborer’s Return Certificate, 9 August 1933; Chinese Exclusion Act case files, RG 85, National Archives-Seattle, Case 7032/2380. As a laborer, Ham Go received Certificate of Residence #143225 in 1894 when he was living in Boston, Massachusetts. He owned a $1000 Liberty Loan Bond that he purchased on 8 August 1933, one day before filing his application for a laborer’s return certificate.